President Tony Bartel of games retailer Gamestop, this week confirmed reports that Gamestop are indeed considering developing their own gaming tablet for a launch late in 2011. 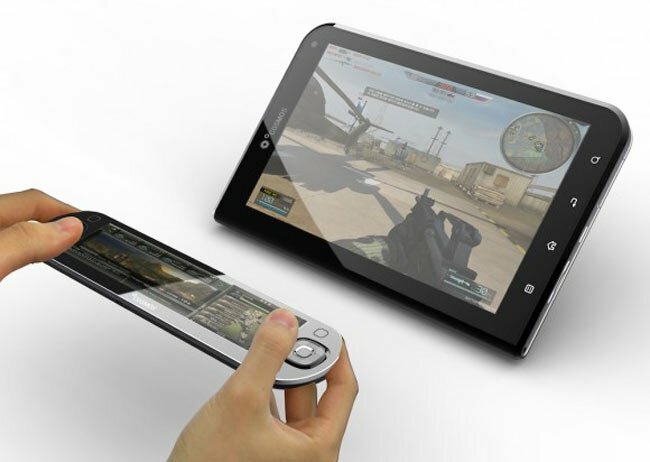 The image below is just a conceptual mockup but Gamestop have suggested that their new gaming tablet will include a separate Bluetooth controller. If Gamestop is going to survive the move from bricks and mortar games retailing to digital, they will need to move fast and face a significant competitor with Valve, which is already estimated to control around 70 percent of the digital PC market. In a bid to entice move customers to their retails store Gamestop say all physical title purchased in store will also be available at any time in the future on a customers account as a digital download as well.